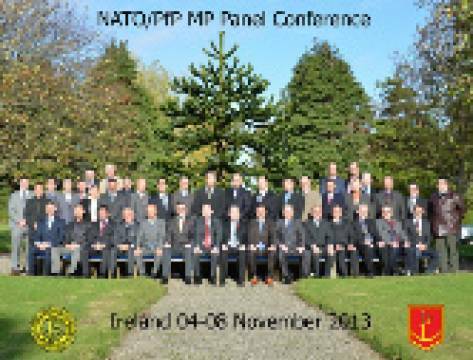 The meeting of the representatives of the NATO and Partnership for Peace Military Police formations took place in Dublin from 05 to 07 November 2013. There was the third and the last meeting this year. And what is more important  the biggest one. As at the previous meetings, the conference was chaired by Col. Timothy Grubb. The meeting was also attended by the Provost Marshal Allied Command Operation, Col. Willem Koops and the Director of the NATO Military Police Centre of Excellence (NATO MP COE), Col. Grzegorz Wasielewski. There were also present representatives from NRDC and NDC Corps` HQs. In total, more than 40 representatives from 19 countries participated in the Panel. The discussion concerning doctrinal and standardisation documents focused on STANAG 2085 and Stability Policing (SP) Doctrine. The SP Doctrine finally starts its ratification process and STANAG 2085 will be the subject of MP Panel`s work in 2014. The Director of the NATO MP COE and representative of ACO PM office presented the NATO Officer Course hot wash-up and first impressions based on the director of the course and facilitators` point of view. The mentioned course was the first pilot course for MP organized and hosted by the NATO MP COE in September 2013. The Director expressed gratitude to the MP Chiefs for their support and contributions to the course as well as proposals and amendments to the course organization and curriculum that the MP COE received after the course. He also presented the first settings for 2014 MP Officer Course. 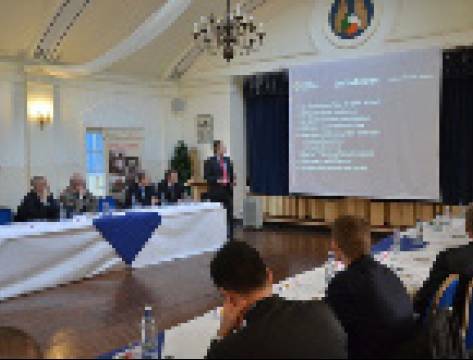 The NATO MP COE also presented an idea to establish the NATO MP Lessons Learned Working Group (MP LL WG) in order to develop and maintain the NATO Military Police LL Community of Interest (COI) . 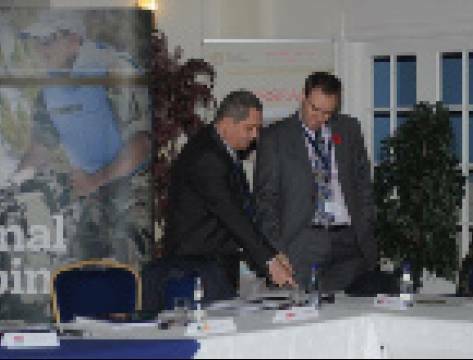 Its goal is to enhance national MP/MG LL capabilities and multinational interoperability by discussing information related to lessons identified and lessons learned from national, Alliance and Partner military and civilian police institutions. The MP LL WG could also serve as an useful platform to consult and coordinate multilateral Lessons Learned-related efforts and ensuring that the MP / MG lessons identified, lessons learned and best practices are incorporated into the NATO doctrines and publications. 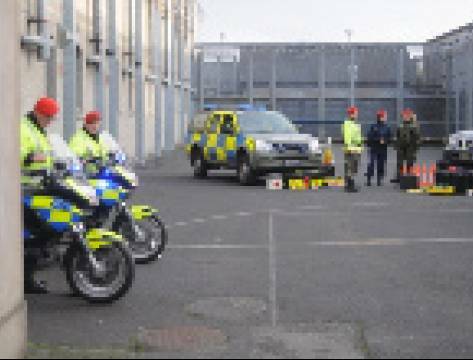 Additionally, the MP LL WG will also allow to improve the way of sharing BP and LL with other international organisations on the respective organisations operations, training and exercises, including interoperability standards. Currently, MP / MG Family has not got its own and unique Community of Interest (COI) in LL issues. The NATO MP COE is willing to fulfill this gap, as a hub for all MP/MG-related LLs, using its LL Branch capabilities in cooperation with national MP/MG LL Staff Officers. Along with that MP Panel meeting, the The NATO MP Future Capabilities Study Writing Team has started its work. The NATO MP Future Capabilities Study has been established by the NATO MP Panel in accordance with the priorities assigned by the Chairman and was endorsed by the NATO MP Chiefs Conference. Its aim is to determine future MP capability requirements for NATO and to enhance interoperability by establishing a common understanding of future requirements. The MP Future Capability Study is envisioned as a detailed report that will inform not only member nations, allied MP organizations, but it will also be the key reference for the subsequent rewriting or updating of allied MP doctrine. The final report should be ready prior to the 2014 MP Chiefs Conference. The NATO MP COE will actively support the writing team effort.